I mentioned in a previous post that I had made some cards to give a part of Christmas presents and the following card is one of those. The card is made using Crate Papers Restoration Collection. I love the colours in this pack, they are bright and colourful but not to loud. 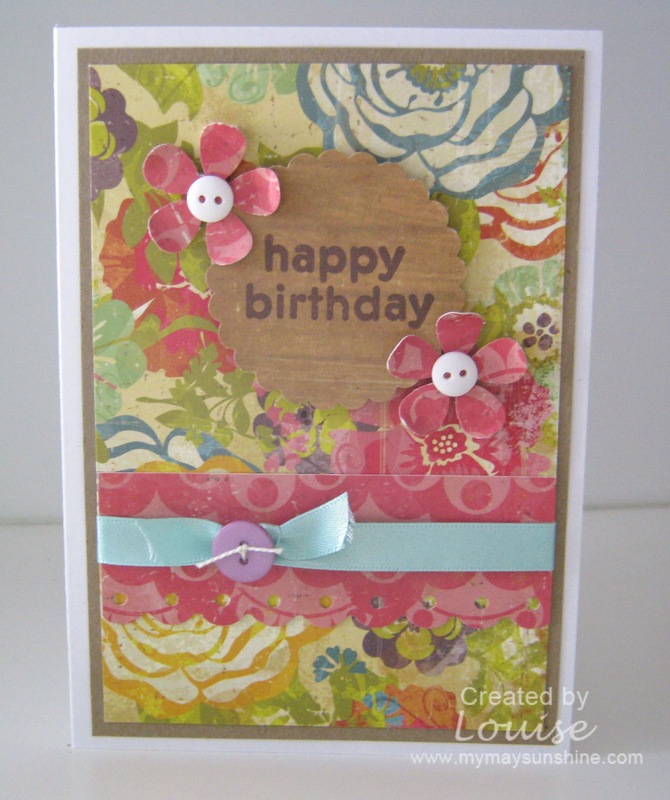 I also used a 2″ circle, 1″ flower, Fiskars threading water punches and American Crafts Birthday stamp set. I have made a couple more cards using this collection as well as a few different collections and will post more soon. On a side note. I’m so glad that we have some sun here in the U.K as it makes a real difference to the day and it makes me dream of summer. I need a holiday me thinks. Previous Post A Card For My Youngest Nephew. Next Post A take on the previous card.